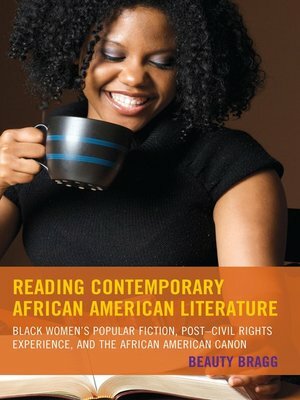 Reading Contemporary African American Literature focuses on the subject of contemporary African American popular fiction by women. Bragg's study addresses why such work should be the subject of scholarly examination, describes the events and attitudes which account for the critical neglect of this body of work, and models a critical approach to such narratives that demonstrates the distinctive ways in which this literature captures the complexities of post-civil rights era black experiences. In making her arguments regarding the value of popular writing, Bragg argues that black women's popular fiction foregrounds gender in ways that are frequently missing from other modes of narrative production. They exhibit a responsiveness and timeliness to the shifting social terrain which is reflected in the rapidly shifting styles and themes which characterize popular fiction. In doing so, they extend the historical function of African American literature by continuing to engage the black body as a symbol of political meaning in the social context of the United States. In popular literature Beauty Bragg locates a space from which black women engage a variety of public discourses. Beauty Bragg is an associate professor in the department of English and rhetoric at Georgia College and State University.